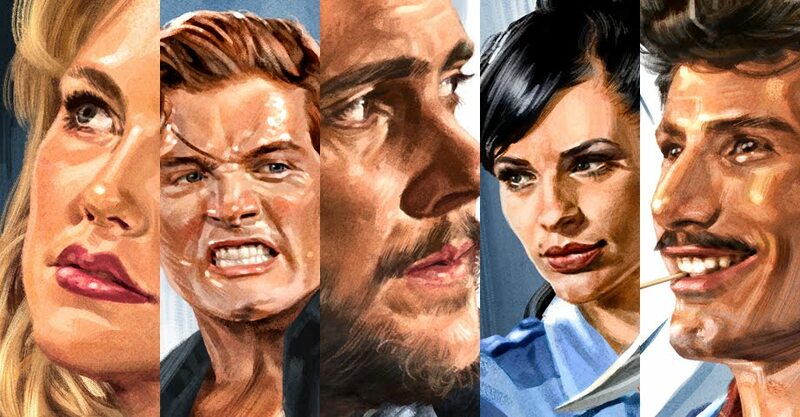 Late last year I did some art for a fantastic Aussie indie TV series called Danger 5. It's a weird 60's inspired WWII action spoof with Nazi dinosaurs, German/Japanese supersoldiers and other off the wall characters, incorporating the best of old spy movies and the worst of Italian cinema. I was approached to do some art for the DVD and posters and had a ball doing it. Below is the art of the Danger 5 team, there's also some closeup detail shots and lastly some of the sketches and previous layout ideas. I hope you enjoy these as much as I enjoyed producing them. And do yourself a favour, hop on Youtube and check out Danger 5. You won't regret it!